This paved path winds the coastline and stretches 18 miles. After a satisfying meal, enjoy a leisurely walk together as you watch the sun set over the water. Grab one of our picnic baskets, fill it with provisions from the local market, and hit the road! Monterey is one of the most breathtaking areas on the California coast and no visit is complete with out some time exploring the natural beauty. If the weather is nice, check out one of our favorite trails. On a cold day, 17 Mile Drive is a great alternative! The Sardine Factory and Fandago Restaurant are two of our favorites and both are included in our Ultimate Luxury Romantic Getaway Package (if you’re looking for romance this is hands down the way to go!). There are so many amazing restaurants in the area it was hard for us to pick our top 2. Get full details on the best restaurants in Monterey and choose the spot that has the ambiance and cuisine you are looking for! Getting out on the water is one of the best ways to see Monterey! 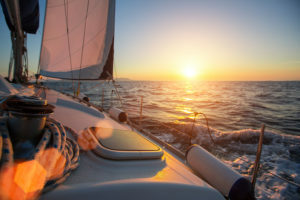 Take a day cruise and see if you can catch the dolphins, sea lions, and otters at play or book a two hour sunset cruise and enjoy appetizers and hors d’oeuvres as you watch the sun fall over the sparking waves. As a guest of Old Monterey Inn you receive a discounted rate with our Sailing Cruise Packages. Treat yourselves to a care-free day and taste some of the best wine in the area. 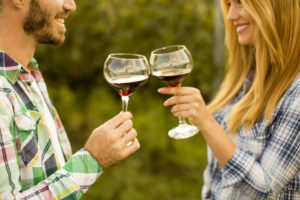 With our Chauffeured Wine Tour Package, your driver will take you to 4 of our favorite wineries in the Carmel Valley where you will enjoy VIP tastings and lunch at one of the best local spots! After your day of adventures, head back to your romantic suite at our Monterey bed and breakfast and cap off the night with chocolate covered strawberries or wine by the fire. We’re here to make your getaway one you will treasure of years to come. 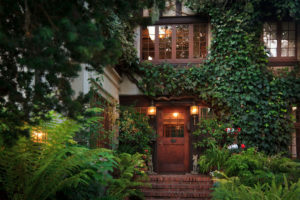 Book online or call us at 831-375-8284 and let us help you plan an unforgettable romantic escape. 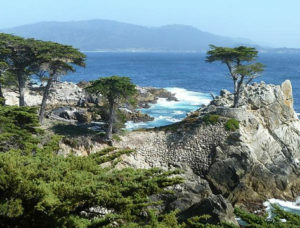 This entry was posted in Activities, Romance and tagged Romance, Romantic activities, things to do in monterey. Bookmark the permalink.